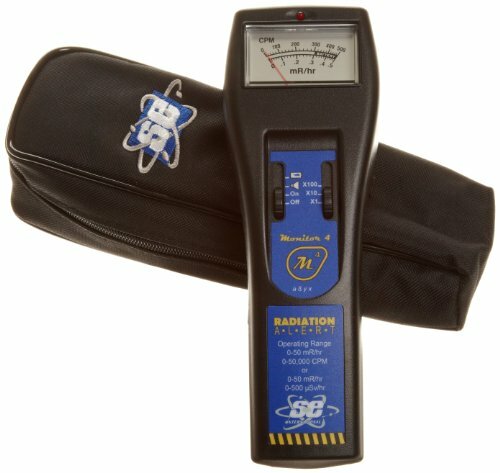 The Radiation Alert Monitor 4 is a hand-held radiation detector with an analog display over three selectable operational ranges for detecting potentially harmful ionizing alpha and beta particles, and gamma and x-ray radiation. This meter has a dual-scale, analog, needle-point display of counts per minute (CPM), and milliRoentgen (mR) per hour. 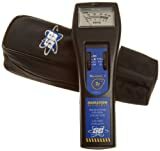 It detects the four main types of ionizing radiation: alpha and beta particles, and gamma rays and x-rays. It has three selectable operational ranges (X1, X10, or X100) to be adjusted when the meter face peaks at the highest mR level. 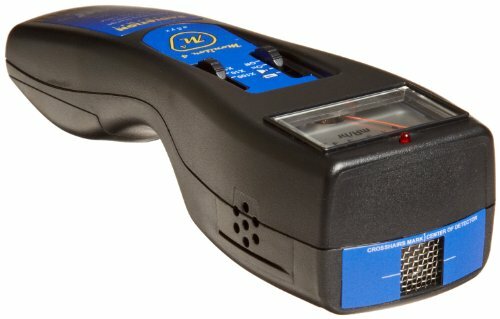 The Monitor 4 has a red, flashing counter and a beeping noise to indicate each ionizing radiation event. It has a halogen-quenched Geiger Mueller (GM) tube with a thin, mica end window for sensing ionizing radiation. It is used to check radiation levels in the environment and objects, such as particle accelerators, x-ray shielding, and industrial gauges. An audio indicator with an internally mounted beeper can be turned off for silent operation. The Monitor 4 has a one-year, limited warranty. Energy Sensitivity 1,000 CPM/mR/hr (Cs137). Gamma and x-rays down to 10 keV typical. GM Detector Halogen-quenched with window thickness of 1.5 to 2.0 mg/cm2. The effective diameter is 0.92 cm/0.36”. Weight 178 g (6.3 oz).